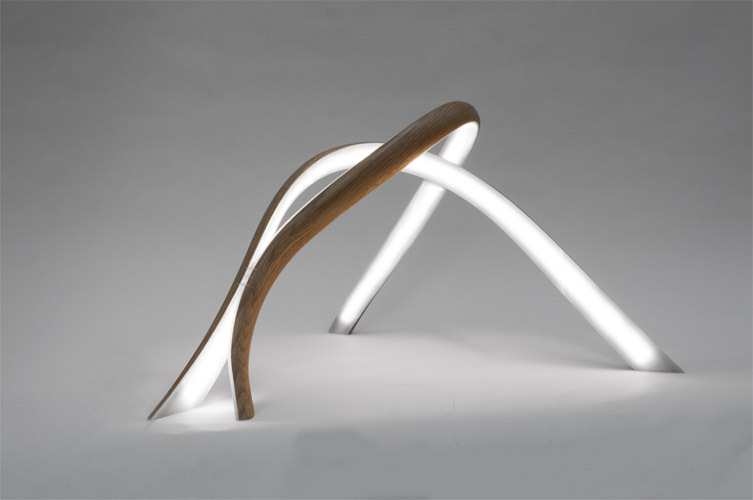 These sculptural lamps creates the body of the lamps by joining two strips of ash or white oak, without using moulds that control or constrain the outcome of the shape. 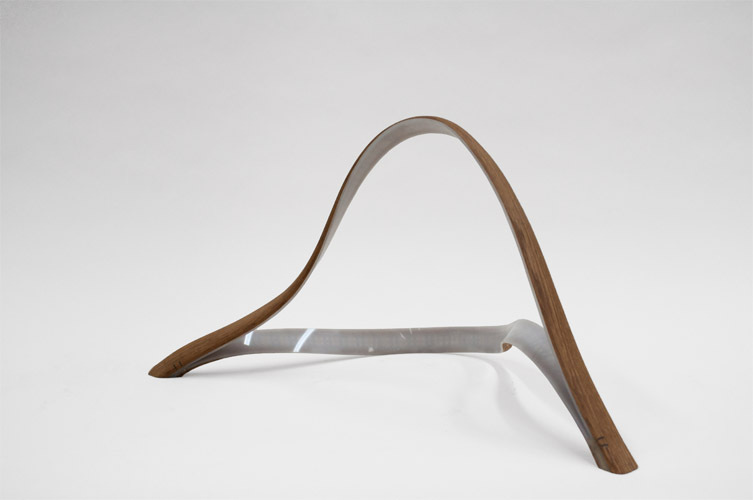 This process allows the wood to take its form naturally and means that no two will be the same. 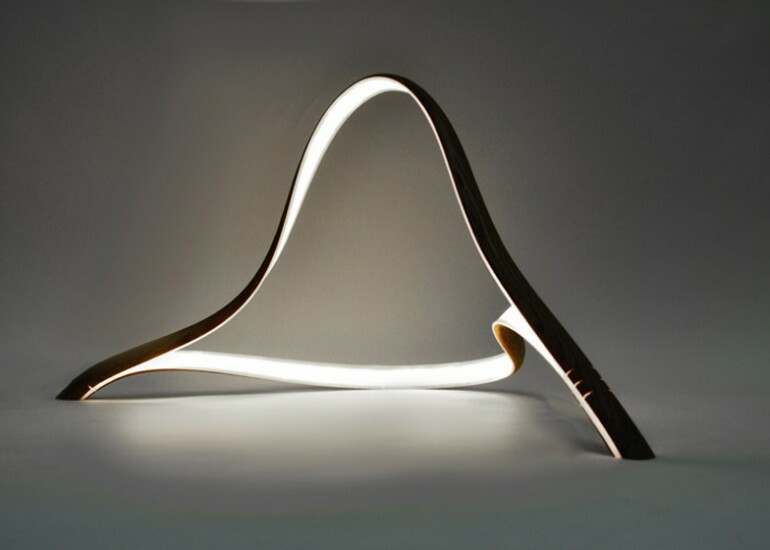 “The idea for the lamps began by thinking of wood as a metaphor for the body.Wood will bend comfortably to a point, then break. 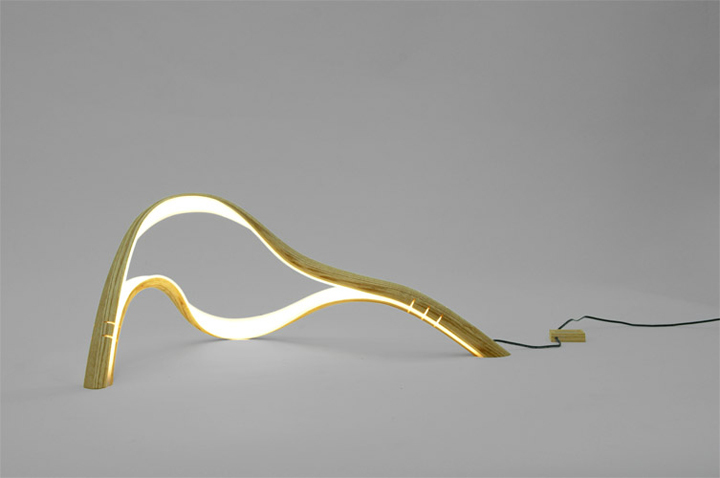 Just like a bone or muscle, wood has its limit.” – said designer.